Heavy Duty Cold Water Soluble Laundry Bag (Dissolvo Sack) - 120 gauge (heavy duty). The Disolvo-Sack has been developed to isolate and transport foul an infected linen safely and without the need to handle the linen again after it has been inserted into the Disolvo Sack. This is a red polythene bag which has been slit along the length and sealed with cold water soluble tape with an overlapped slit protecting the soluble membrane from contact with damp laundry inside the bag. The bag features a cold water soluble tape to secure the top of the bag. Suitable for both hot and cold washes, the bag is placed unopened into the washing machine. During the initial wash cycle the soluble membrane and tie tape dissolves to release the contents of the bag. 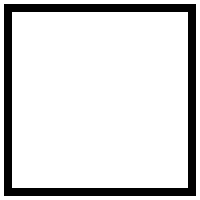 At the end of washing the cleaned film is removed and discarded before drying.Ideal for hospitals and nursing homes and as patient clothing bags for home washing without having to handle soiled linen. In stock: Packs of 25 bags. 200 Pack of Cold Water Soluble Strip Laundry Bags. This economical soluble strip bag is the most pup..
200 Pack of Clear Cold Water Soluble Strip Laundry Bags. 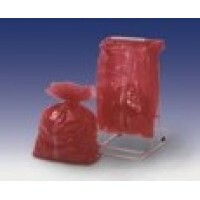 This economical soluble strip bag is the mo..